There is no doubt about the glitz and glamour of Dubai as its towering skyscrapers and glimmering architecture are all the buzz today. However, while the beautiful modern buildings, expansive mall and gold souk are the lifeblood of the city, its heart beats strongly in old Dubai. If you want to see a part of the city that still boasts traditional homes and wind catcher towers, schedule a walking tour of the Bastakia Quarter. This area was first established in the 19th century and really began to bloom when the area was announced a tax free zone for foreign traders. Today, you can walk the streets of old Dubai and get a real sense of what it must have been like when camels were the main mode of transportation. Many of the buildings in the area have been completely restored using original materials. One amazing architectural display you should experience is the wind catcher. These towers are a natural forerunner to modern air conditioning and they actually function quite well. The Majlis Gallery is housed inside one such wind tower. Traditional Medicine- between October and March visitors can experience the various types of traditional medicine that has been practiced for generations. Flying into Dubai is an experience all its own, where you are greeted with a bustling metropolis filled with fashion, magnificent buildings, exquisite cuisine and much more. 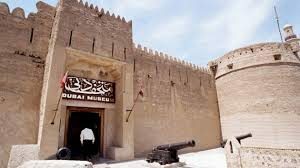 However, if you want to see where and how it all started take the time to head over to Old Dubai, it is definitely worth the time. Who’s Coming to Dubai: Justin Bieber and More!